The Long Island Nets are committed to giving back and bettering the lives of those in the surrounding communities. We strive to positively impact the community’s youth through various initiatives and programs focusing on the following three pillars: Education, Health and Wellness and Community Athletics. In May 2017, the Long Island Nets were the recipients of the NBA Development League Community Appearances Award for their outstanding efforts in the Long Island community during the 2016-17 season. The award recognizes the top NBA D-League teams who reflect the passion the league and its players have for giving back to their communities. Long Island Nets players, coaches, and front office personnel made more than 80 appearances in the community. These appearances include school assemblies, hospital visits, children’s museums, nonprofit events and fundraising benefits. 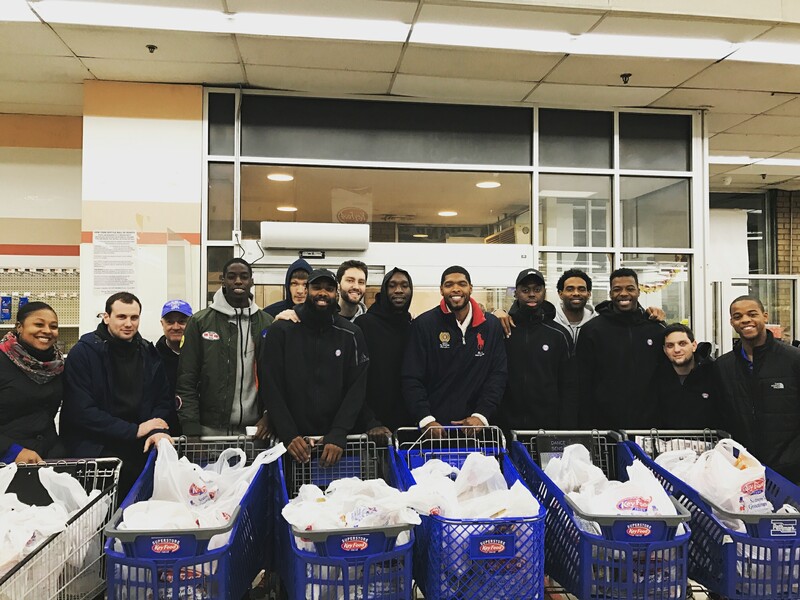 During the NBA D-league Season of Giving, the Long Island Nets were able to able to help 20 underserved families during the Thanksgiving holiday by purchasing them all 20 full course meals and providing them tickets to an upcoming game. The Long Island Nets provided free basketball clinics to the youth of the community in an effort to teach teamwork, leadership and responsibility through basketball. The Long Island Nets host free monthly basketball clinics across Long Island. Clinics are offered once a month and are free to all boys and girls ages 6-13 who preregister. All participants will receive a Long Island Nets Basketball Academy t-shirt. Learn more here. Read up on all the places the Long Island Nets have been each month here.